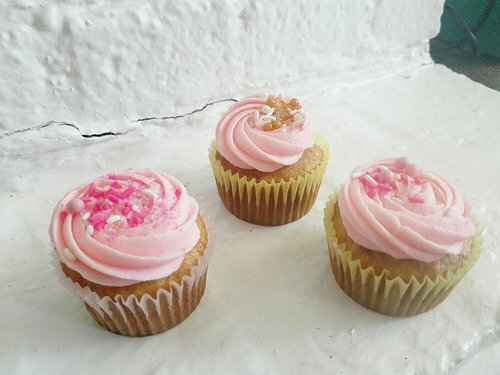 THESE SIMPLE AND DELICIOUS BANANA CUPCAKES ARE A PERFECT WAY TO SHOW YOUR MOM HOW MUCH YOU LOVE HER! Start by creaming your butter and sugar until light and fluffy. This step takes longer than you may think, usually 5-10 minutes. Make sure you stop the mixer occasionally and scrape the sides and bottom of the bowl to ensure even mixing. Next, add your eggs one at a time, mixing 1 minute on medium speed after each addition. Mash the bananas, and then add to the butter/sugar mixture. Sift (or whisk) together the flour, baking soda, salt, and cinnamon in a separate bowl. Add half of the flour mixture to the butter/sugar mixture followed by the sour cream. Add the remaining flour mixture, followed by the chopped pecans! 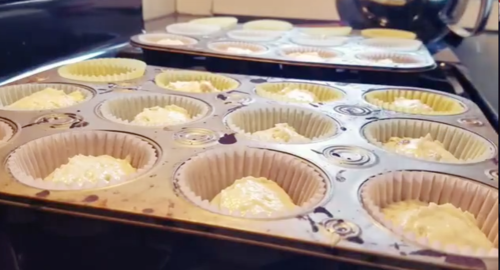 Scoop batter into lined or sprayed muffin tins; I prefer to use a scoop so they all turn out the same size. Bake at 325° F for 24 minutes, rotating halfway through the bake. To make the frosting, first cream together the butter and cream cheese. If the two are both at room temp, then they will cream together much nicer. Just like I mentioned in the creaming of the cupcakes, this step takes much longer than people realize. The longer you cream, the more light and fluffy the end product will be. Once your butter and cream cheese are combined well, add the vanilla extract and salt. Mix until combined. Begin adding the powdered sugar one cup at a time, making sure each addition is incorporated before adding the next. Once all of the powdered sugar is added, slowly add the milk. Mix on medium-high speed for 3-5 minutes or until the frosting is a fluffy, pipeable consistency. 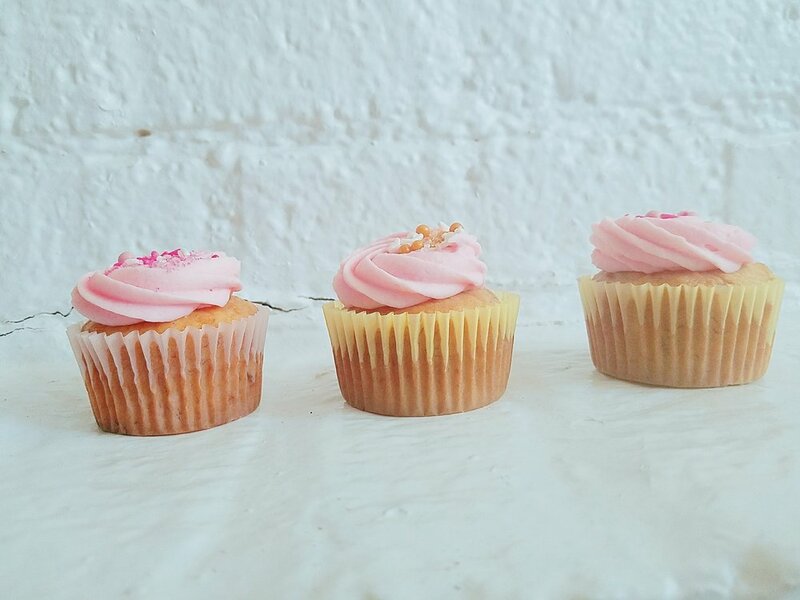 I added a little bit of pink gel color to my frosting, but this step is totally optional. To decorate the cupcakes, I used a piping bag fitted with an Ateco #847 tip. After frosting them, I decided they needed a bit more decoration, so I added two sprinkle mixes that I made. One included different shades of pink and the other was a mix of white and gold.